The Wonder Park trailer just debuted and my entire family watched it together. We are HUGE moviegoers. It is our number one hobby and we always CRAVE new animated films – especially during the colder months. Well, this March, there is going to be a great one at the box office. One that will spark imagination and creativity and we cannot wait to go along for the ride. 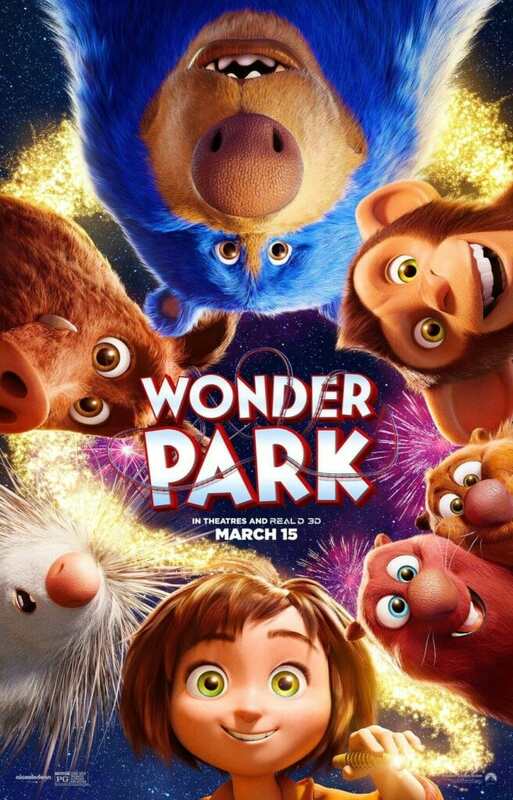 Hitting theaters on March 15, Wonder Park stars Jennifer Garner, Matthew Broderick, John Oliver and Mila Kunis – just to name a few. Want to hear some of the other names that are attached to this film? How about Kenan Thompson, Ken Jeong, Norbert Leo Butz, Brianna Denski and Ken Hudson Campbell? YEOW! Check out the Wonder Park trailer here and see what you can look forward to once the movie hits theaters. I just know that the family will love this one. Super fun, right? You know I’m a gamer, right? Well, one of my favorite games to play with Liam is called Rollercoaster Tycoon. You can literally create and customize your very own amusement park and make it as crazy as can be. When I saw the Wonder Park trailer, it was the first thing I thought about. Imagine how cool it would be to take all those designs we created on our silly tablets and turn them into a reality. I really do love this concept. And the children are right there with me. The gaming titles they favor the most are all building and modeling concepts. Nowadays, it’s all about creating your own worlds and developing the coolest spaces for your friends to enjoy. The real treat would be to actually WALK THROUGH THAT SPACE! LOVE IT. Wonder Park is fun, creative, full of imagination, and must-see family film! The film encourages kids to be creative and use their imagination which I think truly falls in line with what I do as a mom. What did you think about the Wonder Park trailer? Did it get you excited about the upcoming movie? Don’t forget – the Wonder Park movie releases in theaters on March 15th. Mark your calendars.